COLUMBIA, S.C. — A trio of bills have been introduced in South Carolina that would declare the right to life from the moment of fertilization, thus outlawing abortion in the state. State Rep. Josiah Magnuson, R-Spartanburg, and state Sen. Richard Cash, R-Anderson, have presented the “Personhood Act of South Carolina” in both the House and the Senate. The various bills—all with the same name—affirm the God-given right to life, which is also cited in the Declaration of Independence. Companion bills, House Bill 3289 and Senate Bill 485, have similar wording. A third bill, House Bill 3920, re-introduces personhood legislation first filed by Lt. Gov. Kevin Bryant in 2017. “The General Assembly acknowledges that personhood is God-given rather than an endowment of the State. All human beings … are created in the image of God and therefore have an equal right to life,” the companion bills read. The House bill notes that a “primary responsibility of civil government” is “establish and enforce laws that protect all innocent persons,” and therefore, it is the duty of the State of South Carolina to do so. “The provisions of this section must not be construed to authorize the intentional killing of a preborn human being,” the legislation notes. The companion bills also state that nothing in the text should be construed to prohibit contraception or in-vitro fertilization. HB 3290 similarly declares that “[t]he right to life for each born and preborn human being vests at fertilization,” but differs from the other bills in that it does not mention contraception or in-vitro fertilization, nor does it contain the life of the mother clause. Cash told CBS News last week that he believes that now is the time to act. South Carolina Gov. Henry McMaster and Lt. Gov. Pamela Evette appeared at a “Personhood Day” event with Magnuson and Cash on Feb. 6 to express support for personhood legislation, particularly HB 3290. McMaster noted that backing for the effort has increased since then. “[T]he good news is that there are a lot more of us, and there is a lot more understanding of what [the pro-life stance] means, and we are getting stronger and stronger,” he told those gathered. 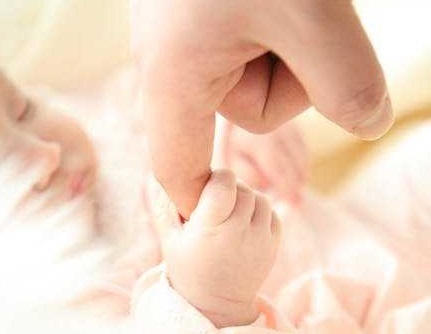 As previously reported, lawmakers in Idaho, Texas, Oklahoma and Indiana have also filed legislation for the 2019 session calling for the protection of the unborn from the moment of conception, and the prosecution of abortion as murder.